This week, we're discussing Apple's iPad mini, iPhone 5s shipping times, the launch of iAd Workbench in additional countries, and more. Read on, and settle in for this week's edition of AppAdvice International. Of course, as of this writing it would appear that Apple is offering its new iPad mini in the Apple Online Store only. Furthermore, shipping times for the iPad mini with Retina display aren’t so positive: Apple estimates one to three business days for the 16GB and 32GB Wi-Fi only models, and five to 10 business days for all other iterations of the second-generation small-size tablet. In international territories, where most iDevice users are already awake, these estimates are rapidly being increased. It is curious, though, that even though Apple published a press release confirming the launch, the Cupertino, Calif. company didn't announce a list of launch countries for the iPad mini with Retina display. However, we confirmed at the time that the second-generation tablet was available in the United States, United Kingdom, Canada, France, Germany, Italy, Australia, New Zealand, Japan, and China; more countries have been (or are expected to be) added to this list in the near future, so keep on checking. 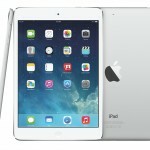 For more new iPad mini news, see: Apple's New iPad mini Suffers From Retina Display Image Retention Problem, Retina iPad mini Stock Checker Launches, Could Survive Takedown Request, and What Does The iFixit iPad mini With Retina Display Teardown Reveal?. 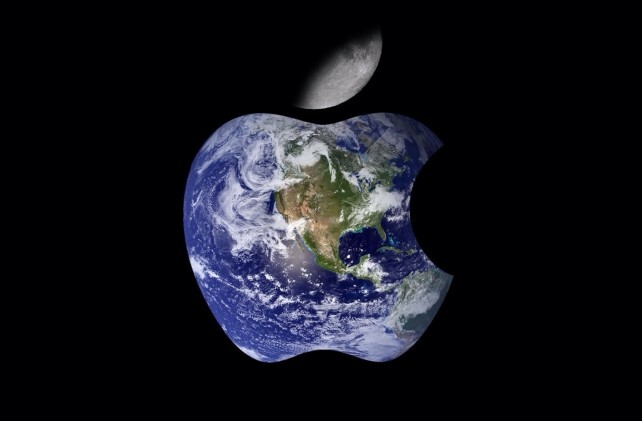 Apple’s iPhone 5s is now shipping in one to two weeks for a number of different countries spanning the globe. Provided customers order through their local Apple Online Store, it looks like the iPhone 5s – in all three colors, and in all three iterations – is indeed estimated to ship within two weeks, meaning orders could still reach consumers in time for Christmas. Here's hoping shipping estimates for the iPhone 5s continue to decrease! We'll keep you updated on this front. iTunes will transfer 100% of your donation to the American Red Cross. Because iTunes is not sharing your personal information with the American Red Cross, the American Red Cross is unable to further acknowledge your donation. You will receive an email receipt from the iTunes Store which will serve as your only acknowledgment of your donation. The donation will also appear on your credit card statement as a transaction with the iTunes Store. You do not purchase any goods or receive any services from iTunes by making a donation. Any donation collected by iTunes is collected in the name and on the account of the American Red Cross. This donation may not qualify for any tax deduction or other tax benefits. iTunes Store credit cannot be used to make a donation. Apple allows you to make online donations at $5, $10, $25, $50, $100, and $200 denominations, and the payment method linked with one's Apple ID will be charged. Reach millions of iOS users with iAd Workbench, the simplest way to create, manage and optimize ad campaigns to promote your apps. Get started in just a few simple steps. Select the right audience for your app and set the best price for your business goals. Build customized banners in minutes. Track your campaign performance and drive downloads at the cost that works for you. From start to finish, iAd Workbench puts you in control. Mini campaigns start at just $50, and users of iAd Workbench can target iDevice owners based on their age, gender, their iDevice model, and their favorite iOS applications. That's all for this week's edition of AppAdvice International. Check back with us at our usual time next Tuesday, at 10 a.m. GMT, for all of the latest news on Apple's work outside of the United States. In the meantime, see: Today's Best Apps: Wind City, UDLR:SWIPE, Farming Simulator 14 And More, AppAdvice Daily: Win An iPad Air, and AppAdvice App Of The Week For Nov. 18, 2013.